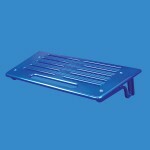 Billet Aluminum Swim Steps 12" X 18"
At Eddie Marine, we manufacture the ultimate swim steps! Precision CNC machined from solid billet aluminum plate, our traditional style is machined with slots and ball mills. 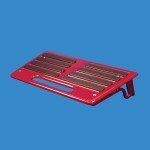 The back of the step is m..
Billet Aluminum Swim Steps 12" X 24"
At Eddie Marine, we manufacture the ultimate swim steps! Precision CNC machined from solid billet aluminum plate, our traditional style is machined with slots and ball mills. 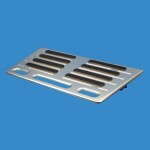 The back of the..
Billet Aluminum Swim Steps 14" X 28"
At Eddie Marine, we manufacture the ultimate swim steps! Precision CNC machined from solid billet aluminum plate, our traditional style is machined with slots and ball mills.The back of the step ..
Billet Aluminum Swim Steps with Rubber Inserts 12" X 24"
At Eddie Marine, we manufacture the ultimate swim steps! 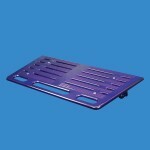 Precision CNC machined from solid billet aluminum plate, and are available with rubber inserts. The inserts have a flat smooth finish, making t..
Billet Aluminum Swim Steps with rubber inserts 14" X 28"
At Eddie Marine, we manufacture the ultimate swim steps! Precision CNC machined from solid billet aluminum plate, and is available with rubber inserts.The inserts have a flat smooth finish, makin.. Stainless steel and Fusioncoated. 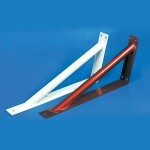 The brackets are 6” long against the transom, extend out 12” and are 1 1/2” wide. 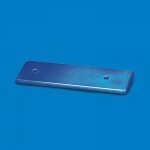 Selecting the correct angle for your swim step brackets will ensure that your s..
Use these oversized plates (2” X 7”) to adapt our billet swim steps to older boats that used wider mounting brackets. Sold in pairs. ..